Jenny Kane - jkane@shawmedia.com Huntley's Jake Brock makes a lay-up during the second half of their game against Auburn. 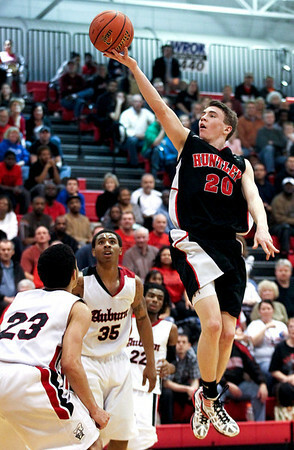 Huntley lost to Auburn in the Class 4A Dundee-Crown Sectional 62-48. Jenny Kane - jkane@shawmedia.com Huntley's Bryce Only looks to make a pass during the second period of their game against Auburn. 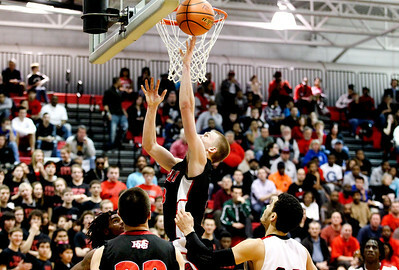 Huntley lost to Auburn during the Class 4A Dundee-Crown Sectional 62-48. Jenny Kane - jkane@shawmedia.com With forty seconds left on the clock Huntley's Justin Frederick looks up at the score board. 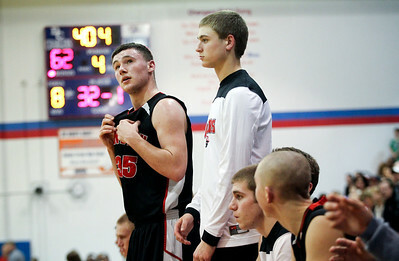 Huntley lost to Auburn in the Class 4A Dundee-Crown Sectional 62-48. 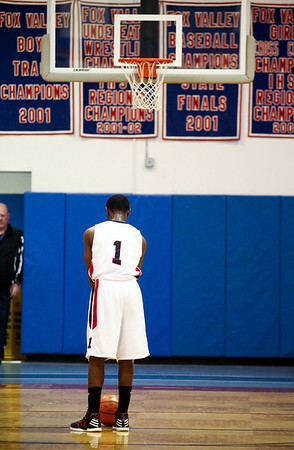 Jenny Kane - jkane@shawmedia.com Auburn's Tramel Rideout prepares to make a free throw during their game against. Auburn beat Huntley the Class 4A Dundee-Crown Sectional 62-48. Jenny Kane - jkane@shawmedia.com Huntley's Troy Miller makes a two point basket during the second half of their game against Auburn. 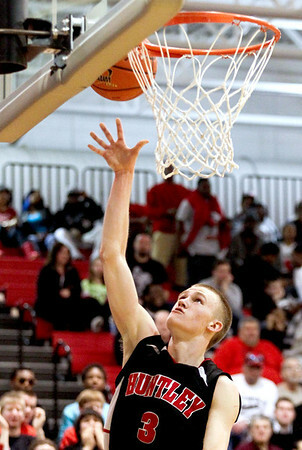 Huntley lost to Auburn in the Class 4A Dundee-Crown Sectional 62-48. 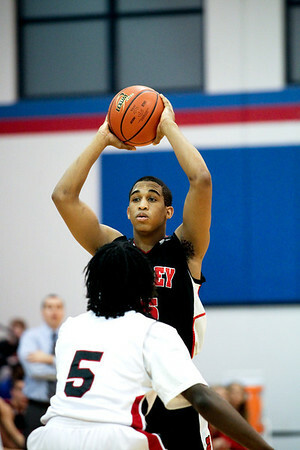 Jenny Kane - jkane@shawmedia.com Huntley's Justin Frederick tries two point shot during their game against Auburn. 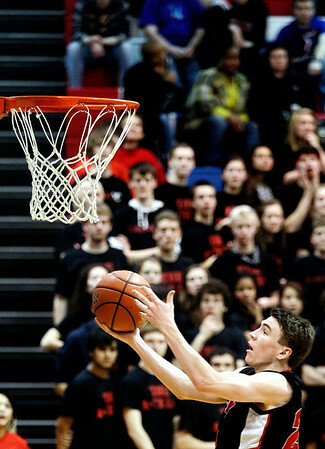 Huntley lost to Auburn in the Class 4A Dundee-Crown Sectional 62-48. Jenny Kane - jkane@shawmedia.com Huntley's Bryce Only tries to recover a ball that was about to go out of bounds during the second period of their game against Auburn. Huntley lost the Class 4A Dundee-Crown Sectional 62-48. Jenny Kane - jkane@shawmedia.com Huntley's Troy Miller makes a two point basket during the third period of their game against Auburn. 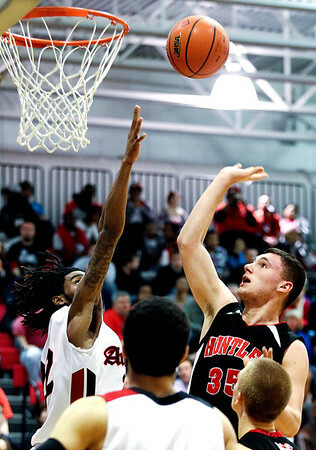 Huntley lost to Auburn in the Class 4A Dundee-Crown Sectional 62-48. 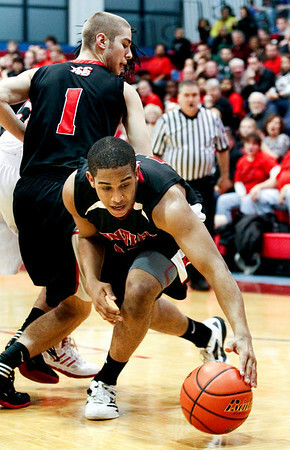 Jenny Kane - jkane@shawmedia.com Huntley's Justin Frederick tries to fend off Auburn's Fred Van Vleet's defense. Huntley lost to Auburn in the Class 4A Dundee-Crown Sectional 62-48. 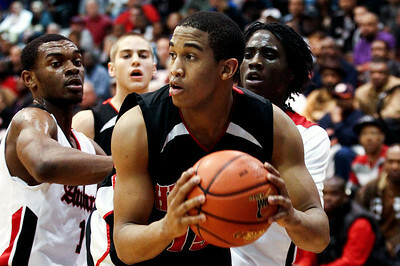 Huntley's Justin Frederick tries to fend off Auburn's Fred Van Vleet's defense. 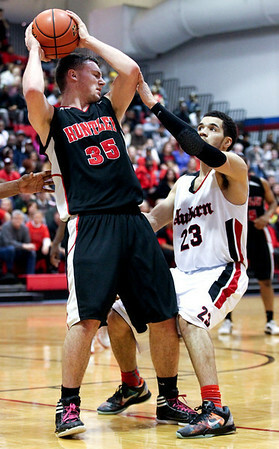 Huntley lost to Auburn in the Class 4A Dundee-Crown Sectional 62-48.